The meeting between the two ministers, and Defence Minister for procurement Guto Bebb, came just a fortnight after British firm BAE Systems was chosen as the preferred bidder for Australia’s ‘SEA 5000’ Future Frigate competition, securing the biggest international ship deal of the decade. The agreement will see nine cutting-edge British Type 26 Global Combat Ships built in Adelaide, supporting 4,000 Australian jobs and boosting the two nations’ military capabilities. Discussing future cooperation between the two nations at the Australia–United Kingdom Ministerial Equipment and Industry Dialogue today, ahead of the annual AUKMIN talks later this month, Mr Williamson and Mr Pyne agreed to deepen their countries’ equipment relationship and explore future industry collaboration. 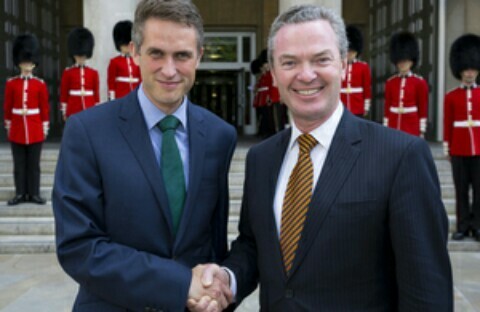 Defence Secretary Gavin Williamson said: “The £20bn Global Combat Ship deal struck between BAE Systems and the Australian Government marks the start of an exciting new era in our nations’ defence and industrial partnership, creating jobs for generations and keeping us safe.